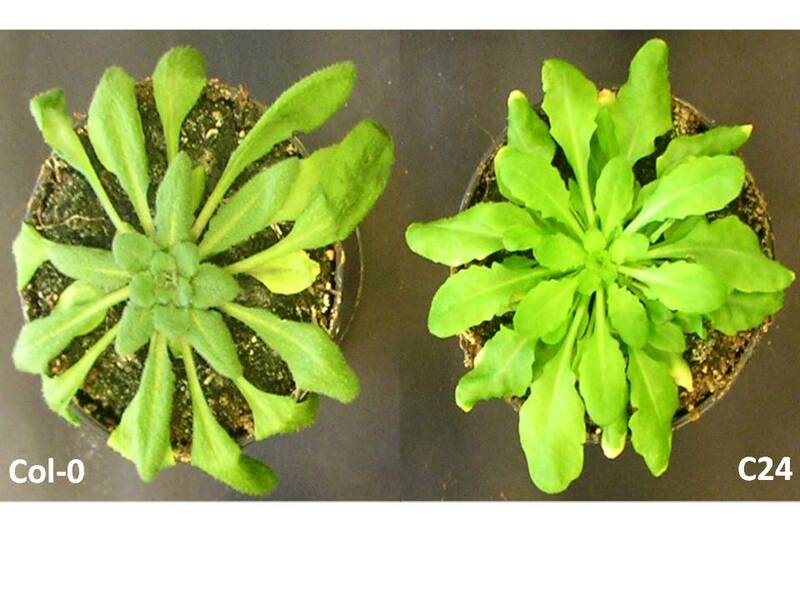 Natural variation of water use in Arabidopsis thaliana. 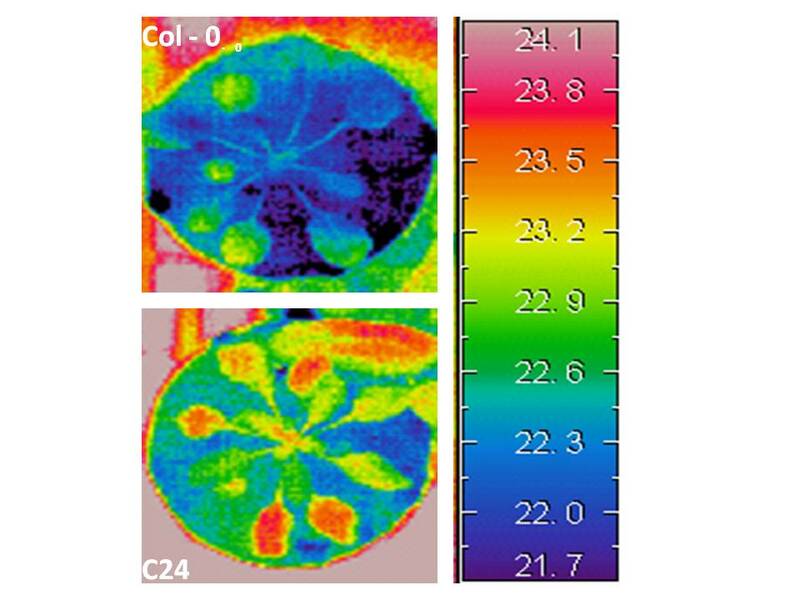 Infrared thermal image of Col-0 and C24 plants indicating a raised leaf temperature in C24 compared with Col-0 (Bechtold et al 2010). Nearly 80% of the world’s water is currently consumed in agricultural irrigation. The improvement of plant productivity while reducing water use is an urgent objective to sustain or improve production while conserving natural resources. Enhanced drought resistance in C24. Plants were left to dry for 12 days after which a clear wilting response could be observed in Col-0 (Bechtold et al 2010). To identify and exploit genetic loci that promote yield in water limiting environments is an important challenge in plant biology, and model species such as Arabidopsis are useful tools to achieve this objective. Natural variation exists within Arabidopsis and comprises of thousands of accessions that are specifically adapted to the climatic and environmental conditions, and accessions display substantial variation in their response to and ability to resist drought stress. In previous work we have demonstrated that it is possible to combine traits that improve drought resistance and water productivity (defined as seed yield per unit water consumed) in the Arabidopsis ecotype C24 (Bechtold et al 2010). Current work aims to obtain a quantitative measure of the natural genetic variation of whole plant adaptations to drought stress in controlled and field conditions by screening natural accessions of Arabidopsis evaluating water use, plant development and physiological parameters.